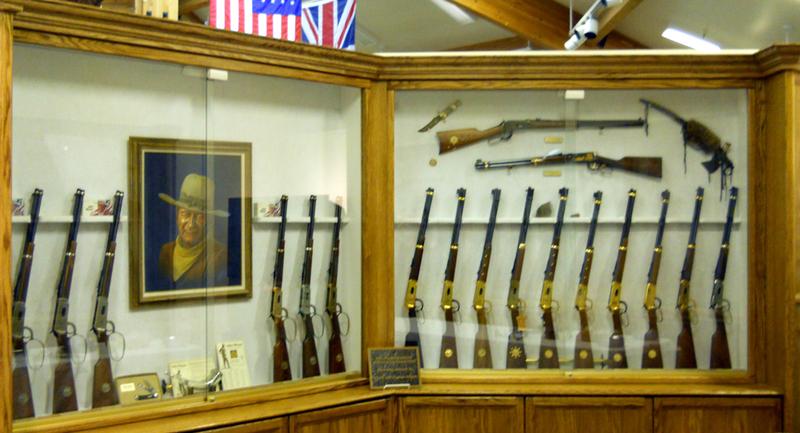 The Winchester Arms Collectors Association introduced its first commemorative repeating rifles in 1964, coinciding with the Wyoming Diamond Jubilee. Each commemorative specifically honors a significant person, group, event, or institution in U.S. and Canadian history. 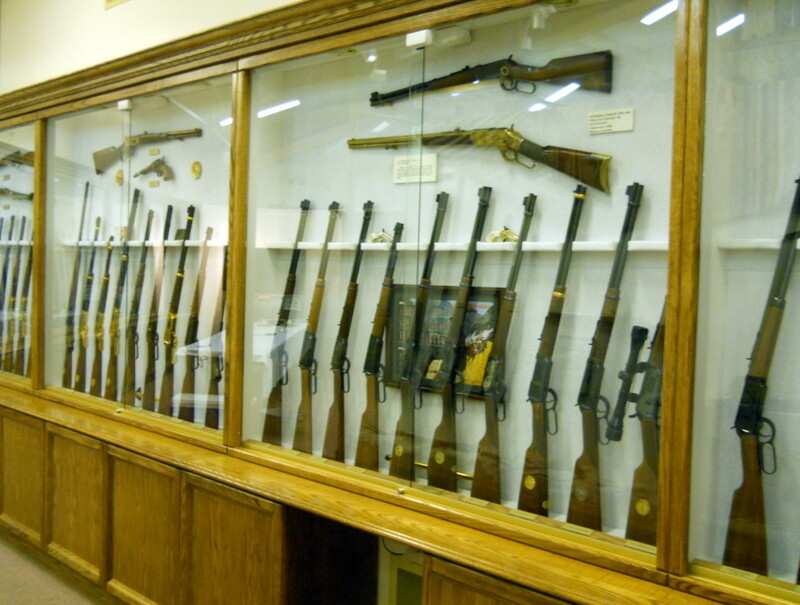 Vernon Delgado, a member of the Winchester Arms Collectors Association, acquired these firearms over decades, and generously donated his beautiful collection to the Museum of the Mountain Man in 2008. 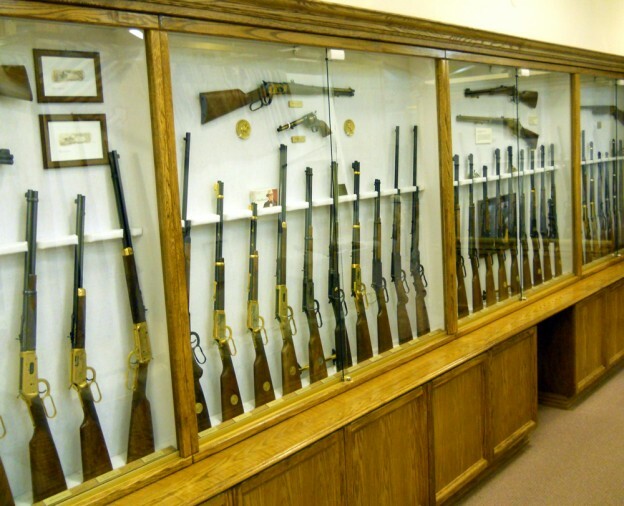 The collection contains over 100 commemorative repeating rifles as well as shotguns, revolvers, and pistols, and includes the Wyoming Centennial and Sublette County Commemorative rifles. Many of the guns are rare, never fired, limited edition pieces. This entry was posted in Current Exhibits, Permanent Collection on November 26, 2013 by Gliffen Designs.